Folks, it’s the end of an era. Remember back in December when reports starting rolling in saying that Honda was planning on dropping the ax on the Insight? Well, we now know for certain that the Honda Insight has reached the end of its road. Honda Insight production will come to a screeching halt this summer, following the seemingly-perpetual decreases in demand. Introduced in 1999, the Insight was the first hybrid vehicle available in the U.S., arriving seven months before the Prius. While the Insight was a hit in Japan (selling 157,275 of the 280,629 total cumulative sold as of last year according to Bloomberg.com), the Insight never quite achieved the same popularity in the U.S. as its rival, the Prius. 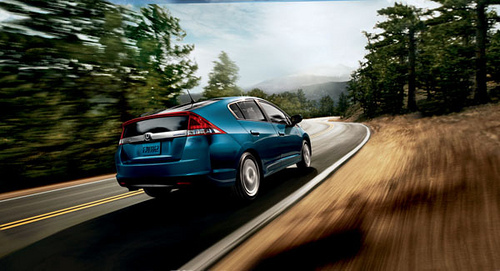 In 2013 alone, Honda sold 4,802 Insights as compared to Toyota’s Prius sales of 234,228. That’s what we call being taken out behind the woodshed. The Insight has routinely struggled to keep pace with its hybrid competitors, including Honda’s own Accord and Fit models, which are unanimously better received among consumers. It seems that it’s been a long time coming, and it only makes sense that the next group to take the wayward hybrid behind the shed would be its creator in order to put it out to pasture at last. There’s no word yet if Honda Insight production will eventually start up again with a new model (Honda previously shut down Insight production in 2006 before bringing it back to life in 2009), or if the Insight will rest in peace once and for all. We think it’s time to let the Insight go on to its great reward – Honda, bring on the Fit!